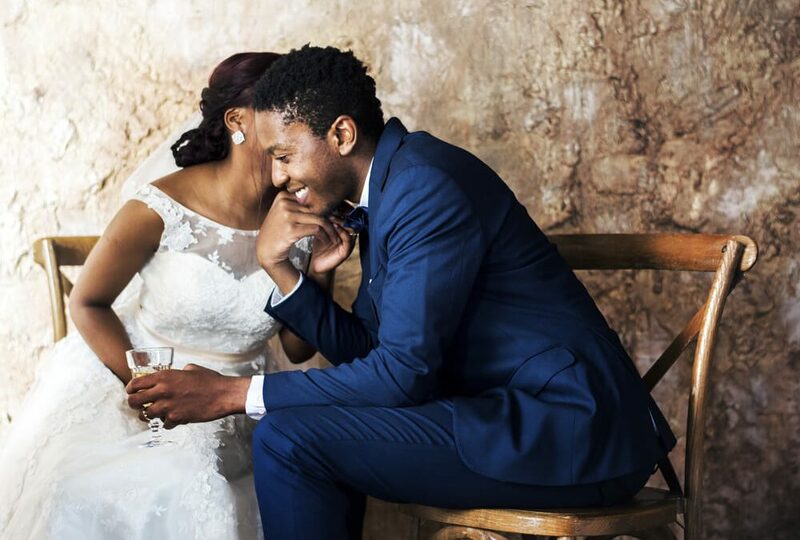 InsuranceFundi | Is your customary marriage recognised in South Africa? Is your customary marriage recognised in South Africa? How many wives are involved? First off, why is it important to be recognised as a spouse? A partner in a marriage or customary union recognised by the laws of South Africa. Leaving your home to someone who is recognised as being your spouse means no estate duty is payable on that home. Leave it to anyone besides your spouse and your home could attract estate duty. Of the three mentioned above, only the first is seen as being in community of property. The remaining two are out of community of property. Did you also notice that a customary law marriage is viewed as a marriage in community of property? Problem is, this isn’t true in every case. What is community of property and is it a good thing? Marriage in South Africa is governed by the Matrimonial Property Act 88 of 1984. In terms of this act, you need to decide before getting married, whether you want an antenuptial contract or not. If you decide not to enter into a contract, then you’re automatically married in community of property. Basically, a marriage in community of property is a community of profit and loss. All your assets are combined into one estate with each of you having a 50% claim against these assets. All assets bought during the marriage fall into this combined estate. Can you see why many people choose to go the antenuptial, or out of community of property, route? Think of the billionaire getting married to a new spouse who doesn’t have a cent to their name. How does that billionaire protect themselves from the possibility of getting divorced six months later and kissing half their fortune goodbye? When married in community of property, neither spouse may sell or give away fixed property without the other spouse’s written permission. Neither can they cede any assets such as life insurance policies, shares, or fixed deposits without their spouse’s permission. Not only that but what if your spouse brings a bad credit history into the marriage? Remember that this is a community of property and loss. If one spouse gets sequestrated – both end up sequestrated. Of course, certain assets can be excluded from the joint estate. Think of gifts or inheritances from third parties where the condition in the will is that the inheritance must be excluded from the community of property. If no such condition exists, then the inheritance forms part of the community of property. Okay, it seems simple enough when two people are married according to customary law. It’s basically a community or property marriage. But what if there’s more than one spouse in our customary marriage? When isn’t a customary marriage community of property? whether that marriage is in community of property or out of community of property marriage? We need to look at the Recognition of Customary Marriages Act 120 of 1998 for an answer. Customary law is defined as customs observed amongst the indigenous African peoples of South Africa and which form part of their culture. Customary marriage takes place in line with this law and usually involves a financial transaction known as ‘Lobolo’. This Act came into being on the 15th of November 2000. All marriages prior to this date had to be registered within 12 months of the Act commencing. Marriages after the commencement of this Act must be registered within 3 months of such marriage in court. Of course, no one can force you to register your customary marriage, but you would be well advised to do so. Think of the woman involved in a customary marriage. Under customary law, men have the right to take more than one wife. Women, on the other hand, do not have this right. Can you imagine a husband and wife building up assets, and then having to split those assets with a second wife twenty years later? Or what if a divorce were to take place? Unless the wife could prove the marriage, and that it was in community of property, how would she walk away with her fair share of their assets? Or if death had to take place? In terms of the Estate Duty Act, any assets left to a surviving spouse is seen as a deduction against the estate of the deceased person. With the spouse not being ‘recognised’ in terms of our laws, that deduction would not happen. Register your customary marriage under the Recognition of Customary Marriages Act 120 of 1998. Even if the 12 months is up. The wife has equal status in the marriage and may acquire assets or dispose of assets. If the husband decides at a later stage to take another wife, then the in community of property marriage needs to be terminated, the assets equally split, and marriage out of community of property must be registered in the courts. Now go out and make that proposal, and don’t forget to save up for the ring, the cows, and goodness knows what else.